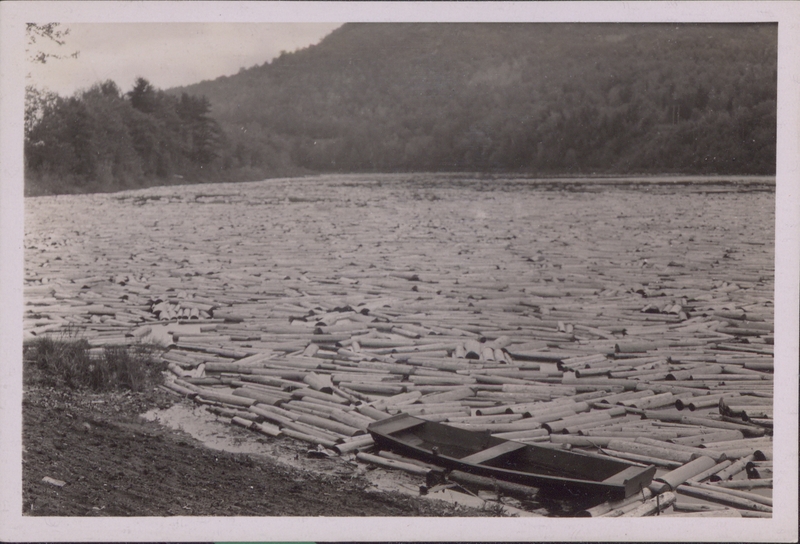 Pulpwood logs almost completely covering the surface of the Hudson River as they float near Lake Luzerne, NY. An empty boat is hemmed in by the logs along the shore, May 24, 1931. American thought in the 19th Century led to the birth of the conservation movement. This movement eventually split into two opposing schools embodied by their respective leaders, Gifford Pinchot and John Muir. Pinchot’s ‘conservationists’ believed in a utilitarian approach, stating that land should be preserved for the economic value of what it could produce. Muir’s ‘preservationists,’ on the other hand, believed wild environments should remain untouched, preserved only for their natural beauty, scientific study, and recreation.